Lightweight wheelchairs are portable and compact, easy to manouvre and transport, ideal for whether in your house or out and about, as they can easily be folded and carried in and out of a vehicle. 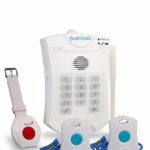 They are ideal for everyday use for the elderly or less mobile, giving you your freedom and independence to help manage your daily activities, and can have a positive effect on your mental and physical wellbeing. 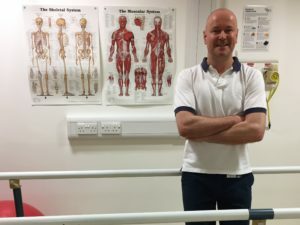 They can help aid or speed up recovery from illness or a physical accident or operation. 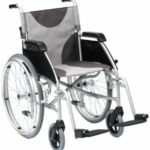 The Best Lightweight Wheelchairs 2019 come in lots of different shapes, sizes and specifications, so there is a wheelchair to suit everyone’s needs. The Days Escape Lite is extremely lightweight and has a foldable aluminium frame. Suitable for both indoors and outdoors, it gives you flexibility wherever you go. With three seat widths , whatever your style or preference, there’s an Escape Lite available for you. In addition to being lightweight, these attendant-propelled chairs offer both comfort and practicality. With a full-length armrest, padded upholstery and detachable swing-away footrests, they provide all the basic comfort necessities. No back wheel brake so can be a little unsteady at times when transferring in and out of. The Days Escape Lite Aluminium Wheelchair is fully adjustable and collapsible for easy storage and transportation. The wheelchair is excellent value for money and has a 1 year warranty on the complete chair which offers you comfort that if anything goes wrong it can be replaced. The new i-Go from Pride Mobility features advanced folding technology enabling it to be quickly transported with ease. The i-Go features a front suspension unit, durable seating system, under seat storage and much more. Designed to fit inside any small space, the Pride Mobility i-Go Folding Portable Powerchair is the perfect choice for the active individual. Portable super light durable frame. 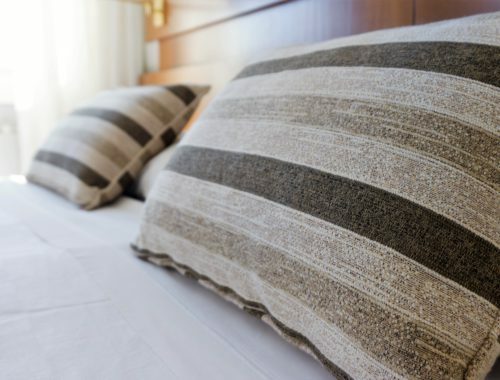 Easy to fold up – can be stored upright which is great if you have limited space. Ultra narrow design which makes it easy to use in restricted spaces. Comfortable padded seat cushion to support you. Convenient storage pouch under the seat for you to carry your belongings. Easily removable lightweight lithium-ion batteries. Has a range of 8 miles ( 4 miles per battery ) which gives you piece of mind when out and about. Suspension is a little basic so may be uncomfortable if you are travelling on uneven surfaces. The seat can feel a little tight and compact if you are a larger user. The Pride Mobility i-Go Folding Portable Powerchair is a unique folding powered wheelchair, featuring lightweight Lithium-ion batteries, and weighing under 20 kg, which can easily be transported around. 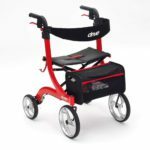 The super-light yet durable frame and ultra-compact size make it ideal for those needing a highly portable powerchair. The long reach brakes are easily activated by the user or attendant for safe and stable parking. The polyurethane tyres are hard-wearing and low maintenance, and together with lightweight aluminium rims and hand rims increase manoeuvrability. Has stylish silver aluminium frame with sturdy cross brace support. Ideal for transporting and for storage. Attractive grey two tone upholstery which is easy to keep clean. Comfortable soft touch side panels. Footrests easily adjust into one of five positions to suit user support requirements and swing out of the way to help with transfers. The supermarket trolleys clip onto it easily if you are out shopping. Two stepper tubes enables the attendant to safely raise the front wheels for mounting curbs of pavements. The footrest is not extendable. The fabric side panels can extend and rub onto the wheels for someone of a larger size. The Drive Medical Ultra Lightweight Aluminium Self Propel Wheelchair is both stylish and practical, and weighing in at only 15 Kg it is ideal for transporting and storage. The Dash Express Ultra Lightweight Folding is ideal for users & carers wanting quality, lightness & ease of use. The Dash Express with its quality lightweight aluminium frame is an essential item for both carers and users alike. It offers unrivalled value for money combined with high aesthetics, and an efficient opening mechanism for ease of lifting and storage, allows the occupant to travel in style. Weighing in at only 12.2 Kg it is really lightweight and easy to move around. Brakes are easy to operate with the release brake function. Easy to put up or fold away. Has comfortable back and seat support. The high push handles make it easier when pushing the wheelchair. The tipping lever makes getting up kerbs onto pavements a lot easier, with less strain on your arms and back. Has quite a wide turning arc with the wheels which can make it difficult to manoeuvre in confined spaces. The larger user may struggle with the size of the seat, and might benefit from a bariatric wheelchair. Backed by a 12 month guarantee the Dash Express Ultra Lightweight Folding Attendant Propelled Wheelchair offers you both quality, lightness and ease of use all rolled into one. 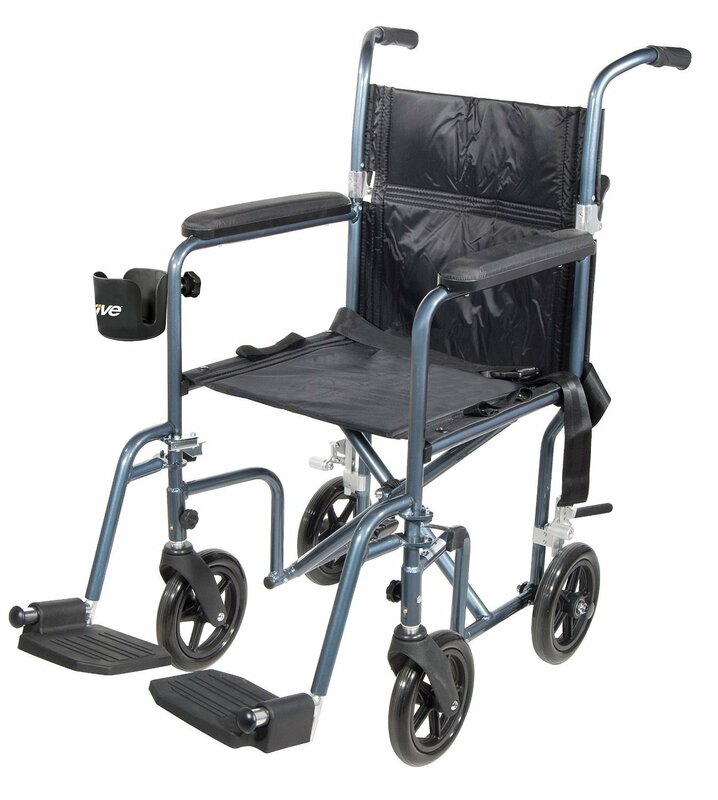 This durable ultralight transport wheelchair weighs less than 6Kg ( 15 Ibs ) which is great when you are out and about. The stylish compact designed chair folds up easily for travel and storage with little effort. 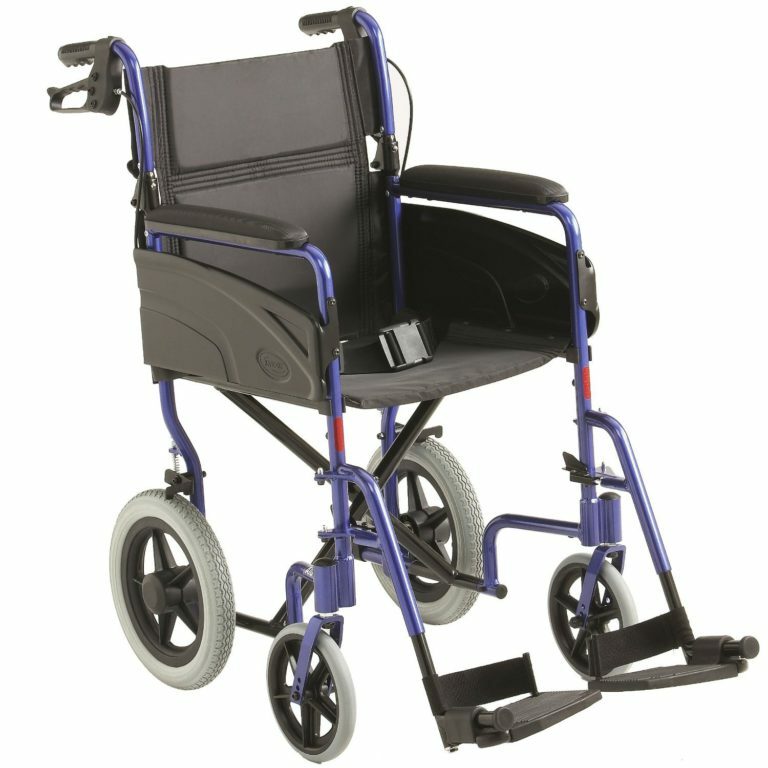 Available in a range of attractive different colours this wheelchair will suit everyone. This chair is really compact, sturdy and easy to foldaway. 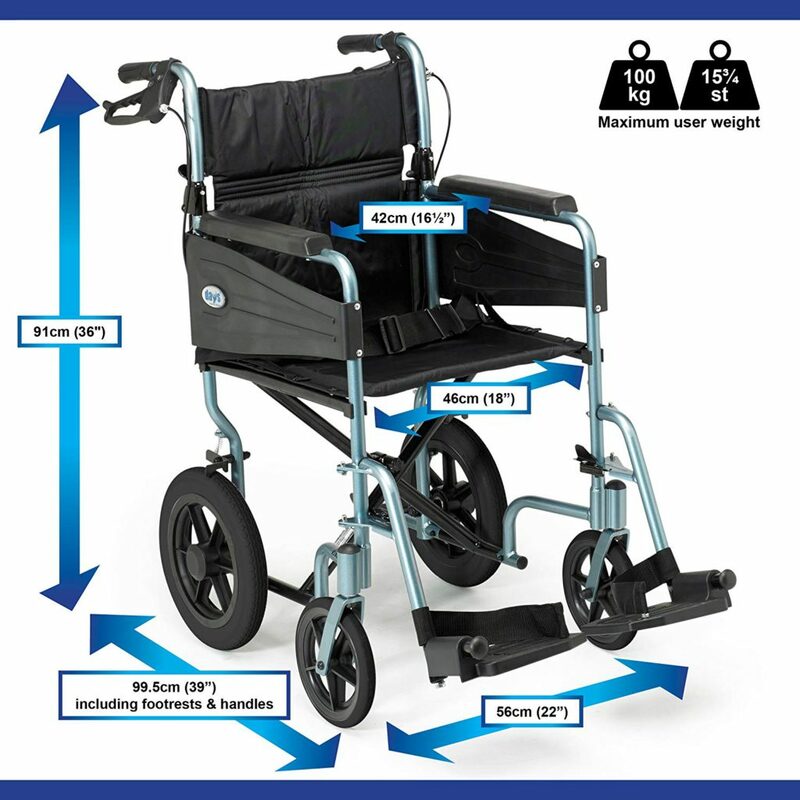 Ultra lightweight wheelchair weighing less than 6 kg means less strain on you when carrying or transporting around. Responsive brakes that means the wheelchair is secure when you stop. The armrest angle at the end of the chair supports makes it easier to get closer to the table when eating. The cup holder is a useful addition. 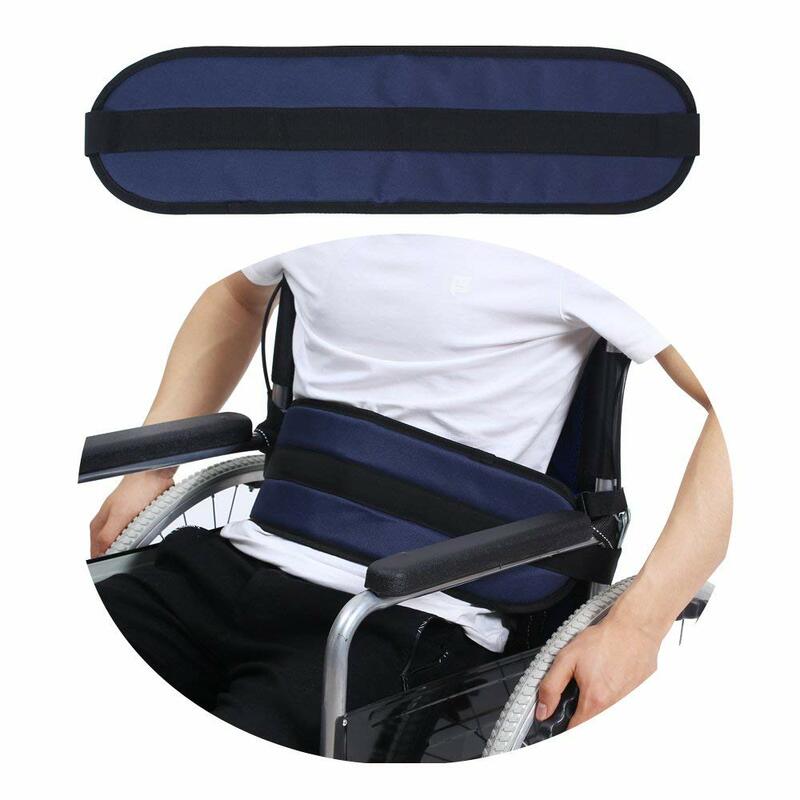 The solid wheels can make the chair a little uncomfortable, but an extra thick padded cushion support can help. The size of the seat is small for a taller person with longer limbs. 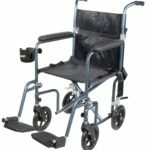 The best thing about the Medline Ultralight Transport Mobility Wheelchair is that it is a great lightweight transport chair, and is ideal for someone who needs to move the wheelchair in and out of vehicles and take from place to place. The Invacare Lightweight Aluminium Transit Wheelchair is the basic-entry level wheelchair in the Invacare manual range. The lightweight aluminium construction of this transit wheelchair makes it easy to manoeuvre, even for an elderly carer, as well as providing a wheelchair that is easy to fold and transport. The lightweight aluminium construction makes it easy to manoeuvre and transport. The concertina folding design makes folding the chair away quickly and simply effortless. The footrests swing away and are also removable which makes transferring off / on the wheelchair a lot easier. In addition, you are less likely to catch your foot or leg on them. Has a comfortable fixed long pad armrest to support you. Has a maximum load user weight of 100 Kg (15.7 Stones ). Attaches easily to a supermarket trolley when you are out and about shopping. The seat size may be a little small for the larger user who may benefit from using a bariatric wheelchair. The Invacare Lightweight Transit Wheelchair has been designed with manoeuvrability and quality in mind. 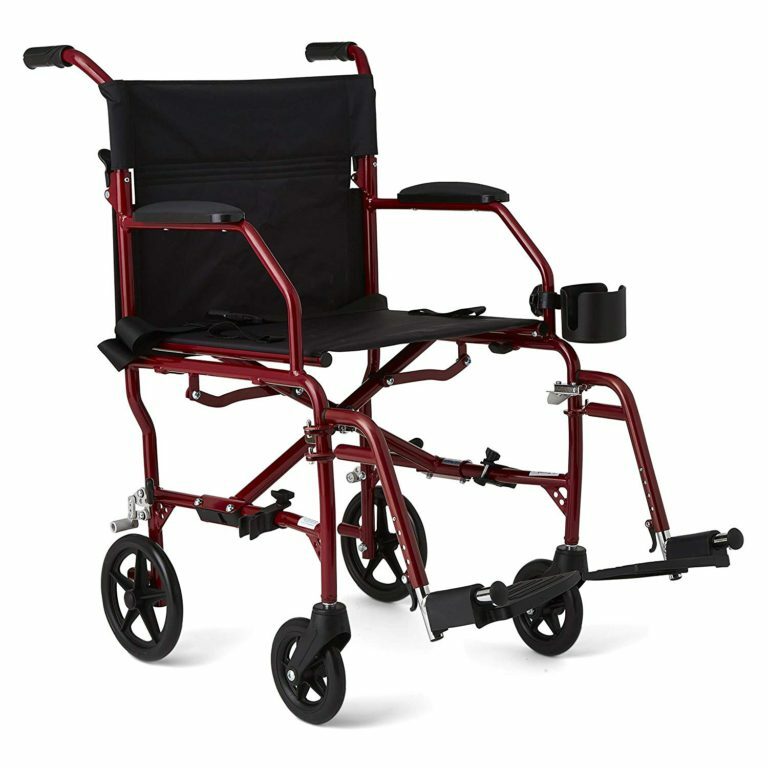 It has been constructed to an excellent standard and is packed with a host of useful features; including cable brakes for maximum convenience, a built-in lap belt for added safety, swing away footrests for easy access and exit of the chair, concertina folding frame, and half folding backrest for easy storage and transportation. 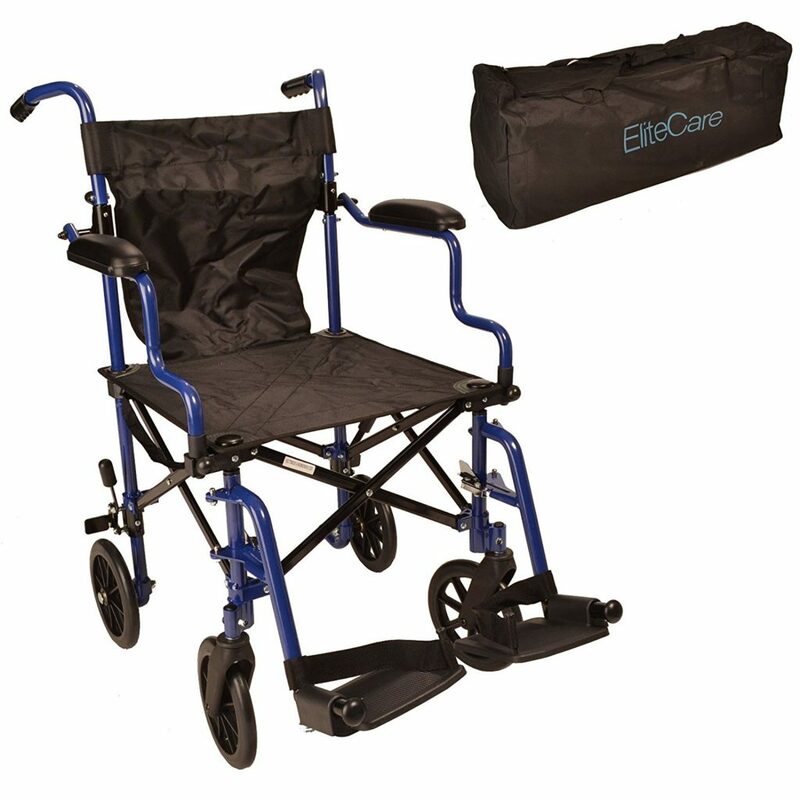 The Super Lightweight Folding Transit Travel Wheelchair is the perfect travel wheelchair. With its compact portable design that folds and unfolds in seconds, without the need for tools, and lightweight frame the wheelchair is the ideal choice for days out, shopping trips or holidays. Super lightweight design weighing less than 10kg. Maximum user weight of 16 Stones. The wheels are a little bit narrow so it can be difficult to manouvre on uneven surfaces. Can be a little noisy when pushed. These wheelchairs have an array of features to make it one of the most lightweight, compact and reliable occasional use wheelchairs available. The wheelchair folds down to approximately 1/3 of the size of a typical folded wheelchair, and the travel bag is a handy addition to have when out and about. 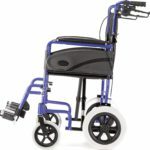 The Drive Medical ultra lightweight wheelchair is an excellent design, and great value for money. Comes in 3 parts and assembles in 30 seconds. My husband says it's very lightweight and he's delighted with the quality. Exactly as described. Perfect packaging. Arrived on time. Update from courier was most helpful. Recipient is absolutely delighted and at a very good price too. A lovely chair and so easy to fold and is only the size of a suitcase when it is folded. Great for travelling with especially on air flights. Would recommend. 1. What features do I need ? 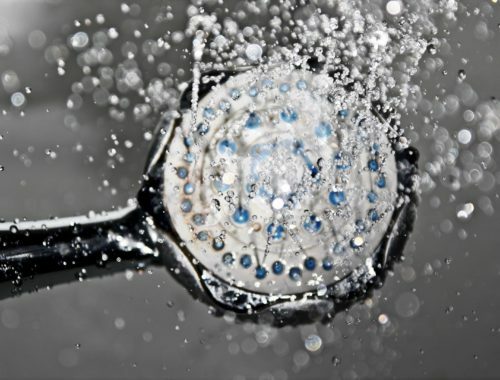 You need to consider your own personal circumstances before purchasing. 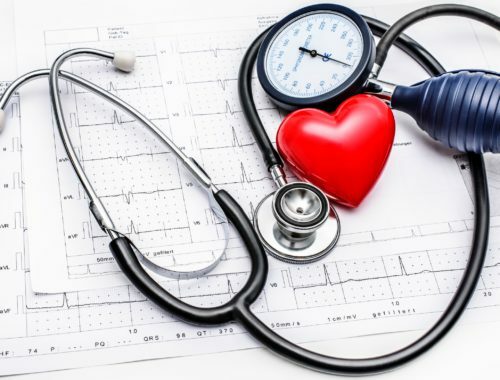 Consider not just your own health needs now but what might change in the near future. 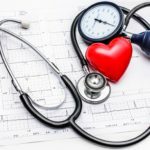 Is your physical health likely to deteriorate , or improve in the next few months and years which may influence your choice in wheelchair ? Are you able to transfer independently in and out of the wheelchair, or do you need assistance ? Are you physically able to self propel the wheelchair, or do you need someone to push the wheelchair ? Consider your size and weight. This can have a bearing on the size of wheelchair you will need. Check that the maximum user weight is okay for you to use. Also, the seat should be between 1 to 4 cm wider than your hips. 2. Do you need easy access and portability ? If you need to fold it up regularly, look for a lightweight folding wheelchair that folds up without tools and that takes up little space when stored. If access in and out of your property is difficult, or from room to room, then folding or removeable footrests are a good idea. When you consider the weight of your wheelchair you are looking at the total weight. This is the frame structure weight and then the extra weight of different components on top ( such as back support and seat cushion ). Many of the lightweight wheelchairs are made of aluminium, which, with its high strength and light weight make it an ideal choice for the frame structure. Something to consider when looking at the wheelchair weight is the number of detachable parts it has. Most wheelchairs have detachable footplates, but some also have removeable arms and wheels. This can greatly reduce the weight of the wheelchair. Lightweight aluminium design makes it easy to fold away and store. Easier access room to room indoors and when out and about. Sturdy, durable frame with good support. 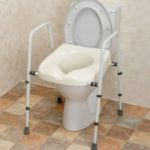 Great aid for keeping your independence. They generally have larger specialized wheels that are easier to turn, which means a lot less effort and energy needed to manouvre. Wheelchairs were first invented in the 1700s and were incredibly heavy and difficult to manouvre. Nowadays, with modern technology and advances in design todays wheelchairs are both sturdy and lightweight. So, what’s the different options available to you when buying a wheelchair. Folding Manual Wheelchairs are an especially useful mobility aid for both the elderly and disabled users. They traditionally have a ‘cross-brace’ design or ‘X’ shape where the wheelchair folds in half as the sides of the chair are brought together. 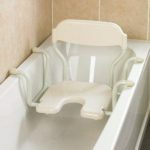 More recently a ‘scissor brace’ frame has been designed which allows the wheelchair user to fold and unfold the chair from the front and back of the chair. The main benefits of a foldable wheelchair is that they are generally cheaper than rigid wheelchairs, and are easier to store and transport. They can easily fit into the boot of a car, a small closet, a store room or anywhere where space is an issue for the user. They tend to be easier to fix complex seating systems on and fold up into around 10″ – 12″ in size. Due to the flexibility of a folding wheelchair, all 4 wheels maintain contact with the ground even over rough or uneveb surfaces. On folding wheelchairs you are able to adjust the foot placements, whereas on rigid wheelchairs they are in a fixed position which makes transferring on and off the wheelchair difficult. The rigid wheelchairs will not fold from side to side, and are simpler in design with fewer moving parts. Usually, but not always, they are lighter than folding wheelchairs, and tend to have a more solid framework. They have folding backs, and the rear wheels can be removed easily when you need to transport the wheelchair. The rear wheels can be easily be removed with quick release axles. As the name suggests self propel wheelchairs are propelled by the user and have larger rear wheels making the chair easier to move. The larger wheels makes getting up and down steps or kerbs a lot easier and safer, but you need good upper body and arm strength to move about. These wheelchairs have smaller rear wheels which are often rimless and are designed that someone pushes the wheelchair for you. Also known as transit wheelchairs. 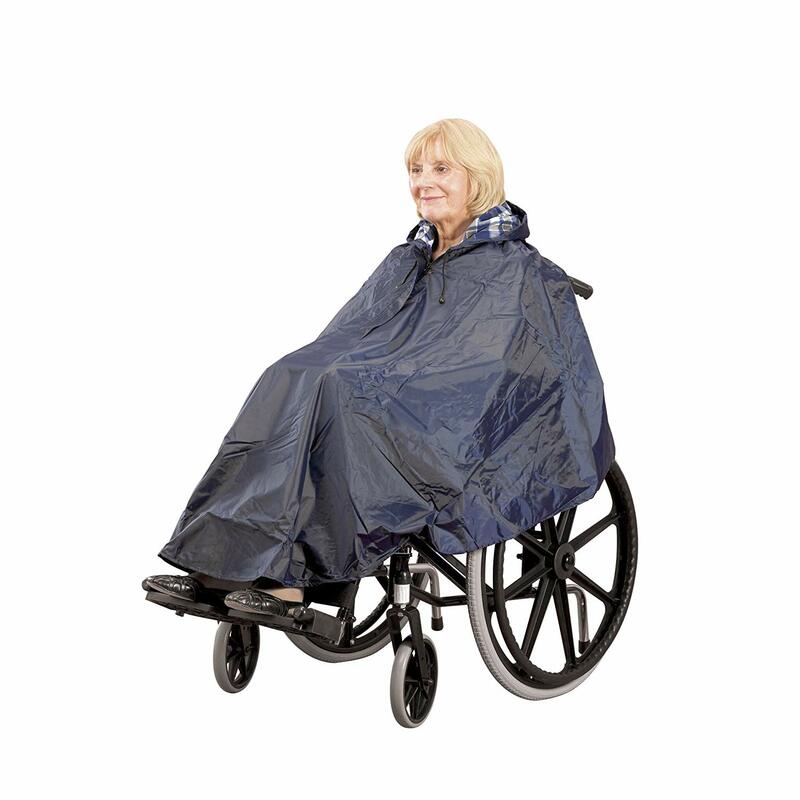 Wheelchair accessories help you stay comfortable in your wheelchair, whether you are sheltering from the rain with a poncho, keeping your feet warm, or sitting on a comfortable pressure cushion. Many of the safety accessories and aids available such as the leg lifter and safety belt, are simple and affordable ways to protect you from injury and discomfort whilst using your wheelchair. Packaged in a plastic carry along bag to keep your poncho in when not in use, this poncho is well made, completely waterproof and keeps you really warm when out and about. A good sized holder and great attachment for a wheelchair. Good quality and can easily be fitted to different parts of the chair. Reassuring support when out and about in your wheelchair, particularly on uneven surfaces or door thresholds and steps. Comfortable and doesn't cut into the body. 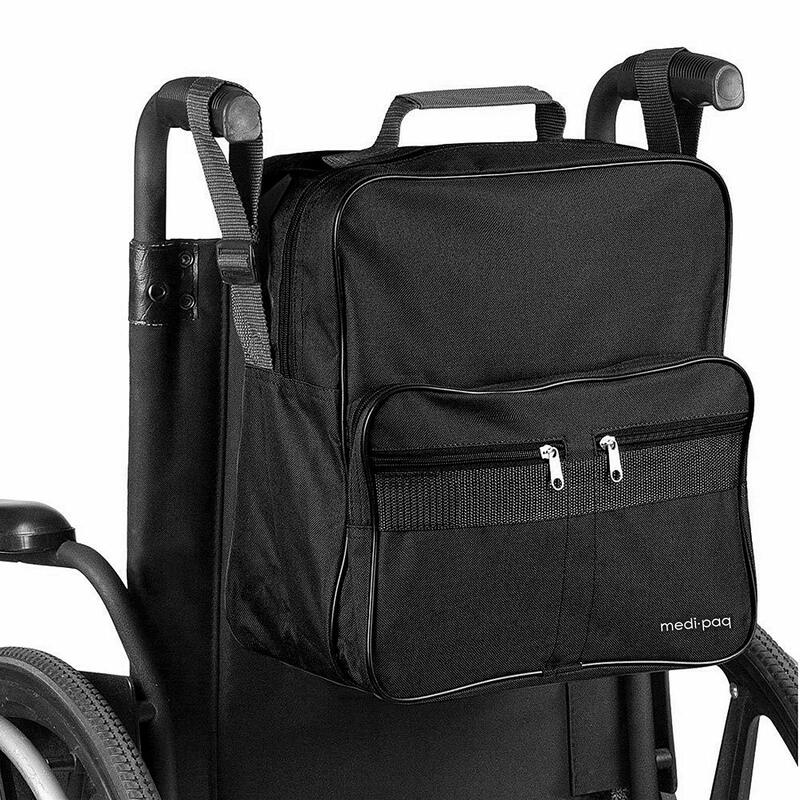 This is a well made bag and fits on the back of the wheelchair well. Its waterproof with plenty of compartments and zip closures. For many elderly people wheelchairs are a great mobility aid to increase your freedom and independence. When you have a wheelchair visiting friends and attending social activities are all possible to do. Lightweight wheelchairs are useful even for those who struggle with their mobility, but are perhaps too proud to use one, and can be especially helpful when walking any distance outdoors. 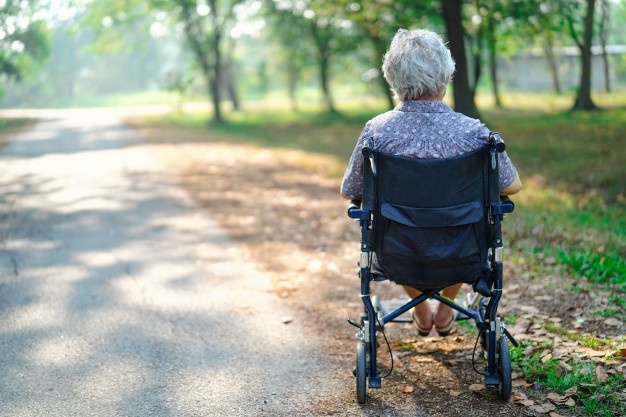 A wheelchair is a great way to reduce the risk of falls transporting you safely over ground that is often uneven, wet, muddy, or is on an incline. Hopefully you will find a lightweight wheelchair that suits your needs, however, should you need any further help or advice please contact me at mark@elderlyfallsprevention.com and I will be happy to help. Mark, I have read your review of lightweight wheelchairs and I must say it is well researched and composed. I have a colleague of mine with a Non-Governmental Organisation that has a child that needs a wheelchair, and I will share this post with her. I would recommend to them the Days Escape Lite Aluminium Wheelchair because it is not only easy on the wallet but its advantages are impressive enough to overlook the disadvantages. Thanks Ahimbe for your comments. The Days Escape Lite Aluminium Wheelchair is an affordable lightweight chair that will be useful both indoors and outdoors. If I were browsing for a wheelchair I’d definitely try to get one that I can propel on my own. The Pride Powerchair looks like one I’d go after. I love the style and the fact it has such a large range at four miles per battery to me shows some durability. It would be my number one choice. Thanks for the feedback. 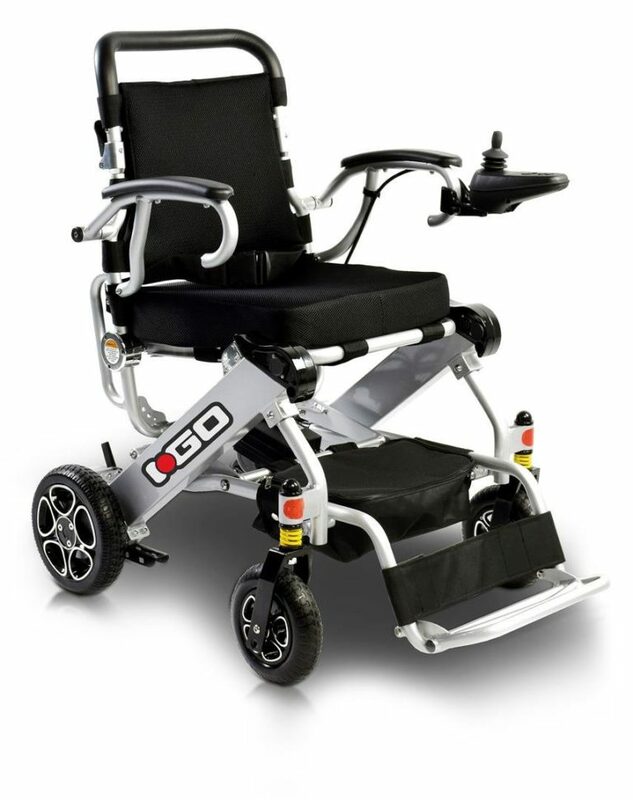 Yes the Pride i-Go Powerchair is a highly portable wheelchair due to its lightweight lithium-ion batteries, and the durable compact chair is perfect out and about with a range of up to 8 miles (4 per battery). So, if going on a long trip make sure you carry the spare with you. What a wonderful, thorough and well-researched web site. I don’t know much about wheelchairs but it appears to me that you covered the subject matter so thoroughly, it left me with no questions. I really liked that you reviewed these wheelchairs and had a pros and cons list for each. And then you went on to present questions in the “Things to Consider Before Buying a Wheelchair”. And then the different types of wheelchairs, accessories, etc. You really put together an all encompassing research article on this subject. And I love the way you formatted the site. Thanks Richard for your kind comments. 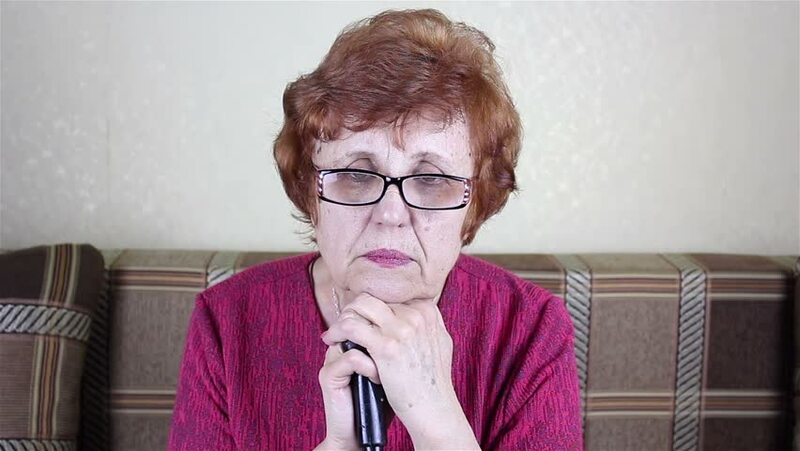 I am glad that you found the information useful, and you are now better informed when making a decision to buy a lightweight wheelchair. 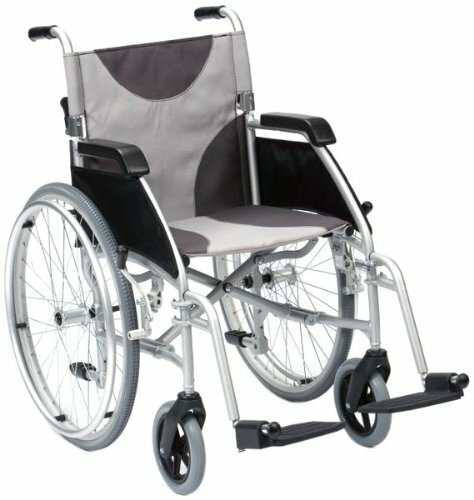 I was looking for a portable wheelchair that could be used as a backup stored in the trunk. That’s why it has to be foldable and lightweight. Didn’t know they come this light and compact though! You just solved a big problem for me. The Super Lightweight Folding Transit Travel Wheelchair seems perfect for my need. Can you recommend any other similar products that would go easily in the trunk? Thanks for your feedback. I am glad that you found what you are looking for. The Super Lightweight Folding Transit Travel Wheelchair is the perfect travel wheelchair with its compact portable design that folds and unfolds in seconds, without the need for tools, and lightweight frame. The wheelchair is the ideal choice for days out, shopping trips or holidays.